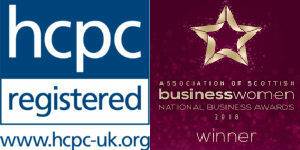 I am a registered member of the Health and Professions Council (HCPC). I am a clinical psychologist who specialises in working with children with developmental disabilities including Autism Spectrum Disorder (ASD) and intellectual disabilities. I have been supporting families within the National Health Service for over ten years and continue to do so alongside my private practice. I have extensive experience in assessing and providing individually tailored interventions for children who are experiencing a wide range of mental health difficulties including anxiety, low mood and behavioural difficulties. I draw upon a variety of therapeutic approaches within my work including systemic approaches and Cognitive Behavioural Therapy (CBT). At The Edinburgh Practice, I work alongside my colleagues in the ASD Assessment Service, helping children, teenagers and their families going through the assessment process.